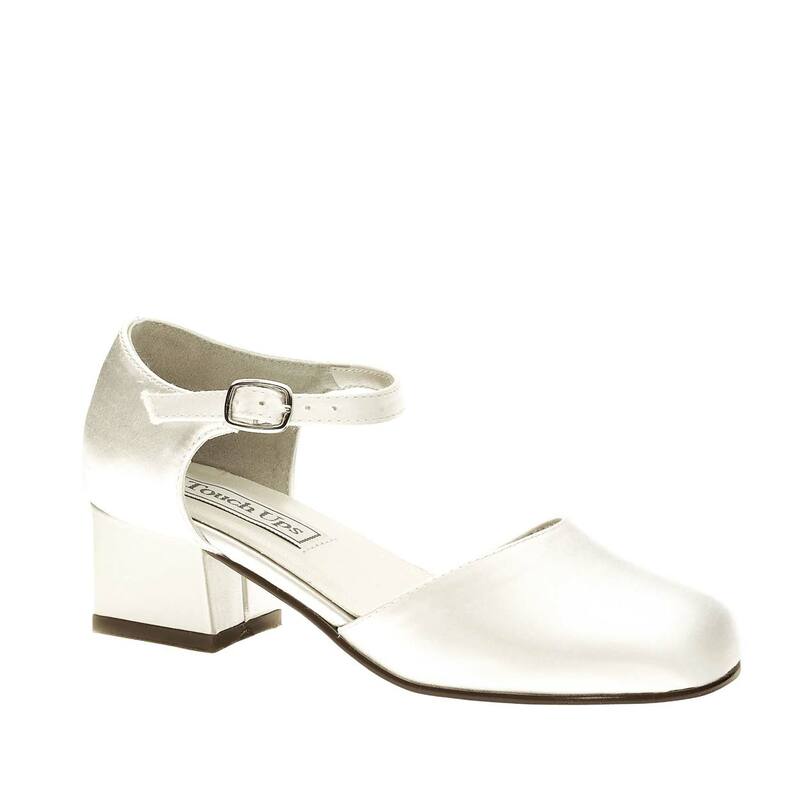 Clarissa's perfect for Communion or Flower Girl. It has an adjustable ankle strap for a more personalized fit. For extra comfort, it has a round moc toe and a padded footbed. Details Heel Height: 1" Dyeable Fit: This style tends to run large. For an accurate fit we recommend purchasing a 1/2 size smaller than you typically purchase. For example, if you normally purchase a size 7 1/2, we recommend purchasing a size 7.